While commercial property insurance covers the building and property which you use to do business, casualty insurance, also known as business liability insurance, covers the risks of doing business itself. Commercial Liability insurance protects businesses from the risks of liabilities imposed by Property Damage or Bodily Injury from lawsuits and similar claims. Casualty insurance policies cover legal costs and imposed legal payouts. Intentional damage and contractual liabilities are typically not covered in these types of policies. 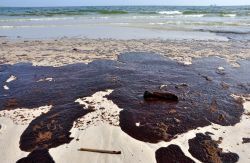 An example of Liability Insurance will be Pollution Coverage, which will pay for the cost of an environmental cleanup in the event of an oil or chemical spill. Business liability insurance is essential for every business. Medical practitioners, business owners and product manufactures, in particular, can benefit from liability or casualty insurance: medical practitioners to assist in malpractice cases, business owners to assist in employee suits and product manufacturers to cover faulty products, resultant injuries and recall costs. 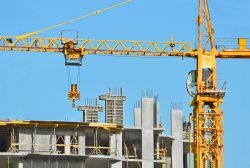 Construction Companies are especially at risk due to the inherent nature of their business and for possibility for claims made after the project is complete. At CGIS, we provide options. We work with clients to identify the different types of commercial property insurance & business liability coverage, to create a completely customized insurance policy tailored to your specific needs.